Lil' Red Rocket: Extra give away. Its time for the extra give away so here it is. Just click on the picture if youd like a closer look. I have put together a selection of some of my favourites from the Lil' Red Rocket shop and they could be all yours. x3 genuine vintage drink labels. These date from the 1930-1950.
x2 vintage reproduction animal flash cards. X3 hand made fabric flowers. x1 vintage children's book page. x1 length of blue pom-pom rope. To enter just post about my give away on your blog and add a link back here. Then leave me a comment to let me know. Ill draw the winner on June 18 (Aust time). Good Luck everyone and thanks for joining in. TFL. Hi, have linked this to my blog, and love your goodies!! Placed an order the other day and can't wait to play with them!!! Thanks for the chance to win, fingers and toes are crossed!! What an awesome giveaway - you always have the freshest goodies! 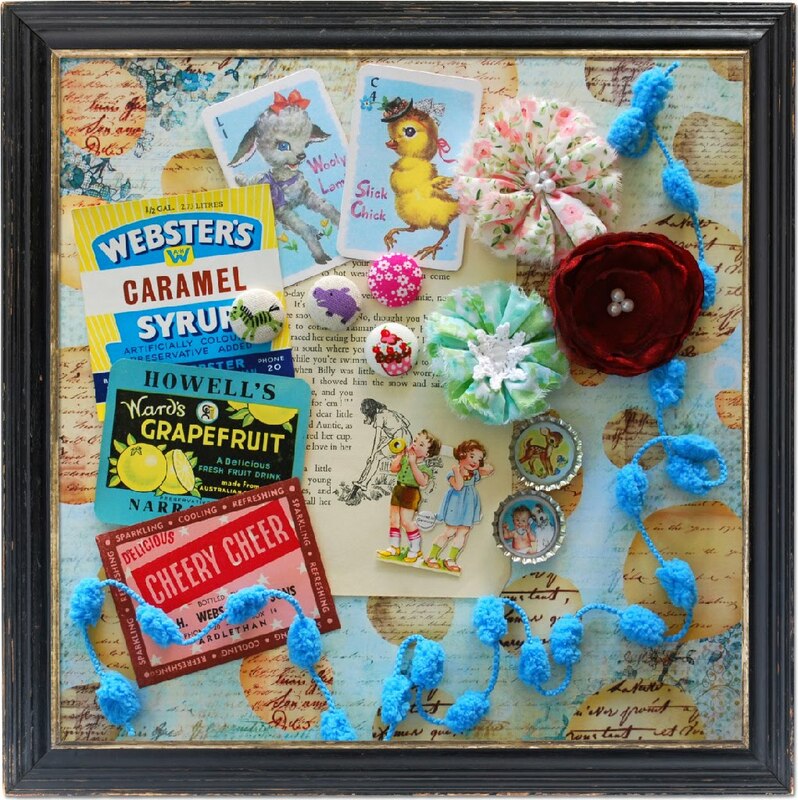 Your candy is linked on my sidebar at Create With Joy - thanks for the chance to win! Its on my blog for all to see!! great giveaway ... glad i found you!! I have now linked you to my blog too!! 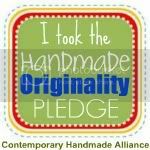 of course i've done it.. and you know where to find me..LOL.. great great work..
Love all your beautiful yummy vintage goodies. Have put in another order , just can't resist.Are you getting anymore of those german vintage cuts, really love them. I haven't got a blog, so good luck everybody. Love, love, love this candy!!! It is now linked in my blog caromgar.blogspot.com. I also became a follower... so I will be back again and again! Hi there.....thank you for such an awesome giveaway...all the bits and pieces are just gorgeous!!!! Have popped your candy on my sidebar. Thanks for giving us the opportunity to win such yummy goodies! 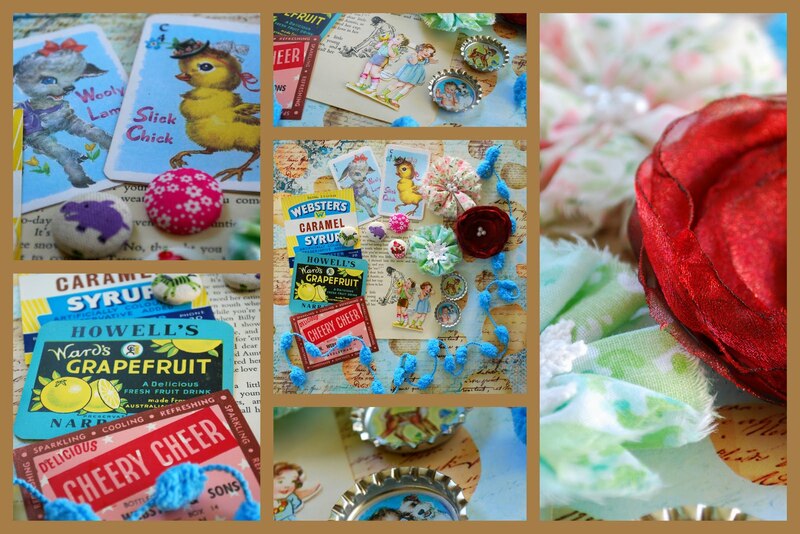 Hi, Thanks for the chance to win - such cute and funky findings off to check out the shop. AWESOME! So glad I saw this! Better late than never right! Your on my side bar, I have been a follower! OMG - this is delightful! It's up on my blog! I just posted, I love my order from you guys- your etsy store is sooo cute!! So is this giveaway!!!! It's on my blog now! omg, could I be any later posting this- you guys don't have to enter me!!!!!!! I won last time and I love my gift, so thank you!! this is soooooo... right up my alley! Very cute stuff. Just seen a link on my friends blog and thought I would check it out. I'm a follower now too! Well stinkweed, I missed it! Very cute stuff! Though I too late but still would like to comment tt this is such a cute project! Two more gorgeous LOs and a SALE! More LOs to inspire from Leanne and Kim. Another LO from Leanne and some shop news. More gorgeous inspiration from Leanne and Kim.